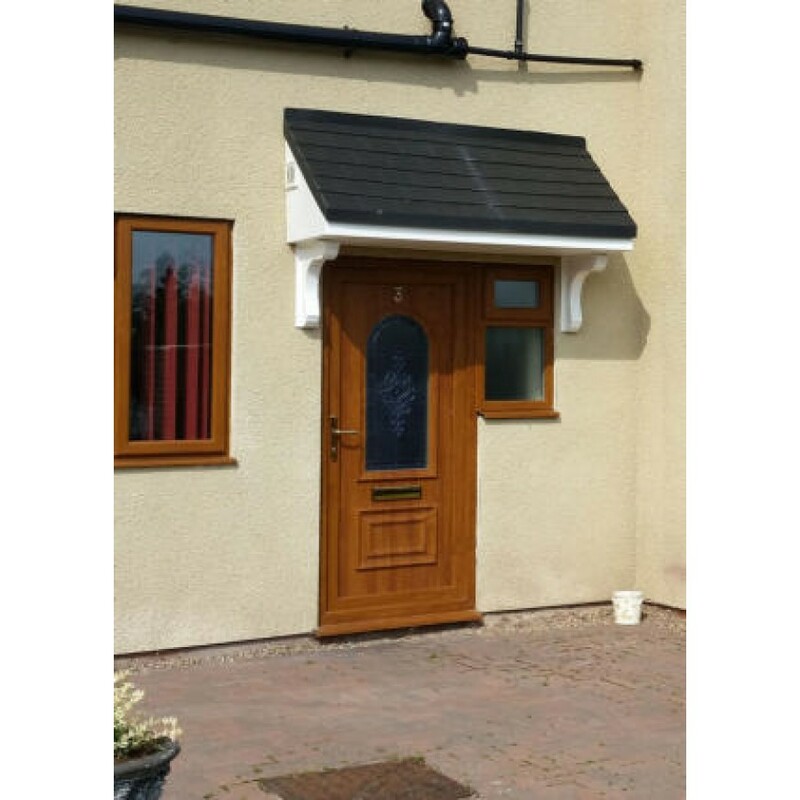 Our very popular modern Palermo GRP (fibreglass) window / porch door canopy can be made to measure in any size up to 3048mm (10ft) making the Palermo a perfect choice for door and window combinations, patio doors, french doors and sliding doors, Please specify the size required above. 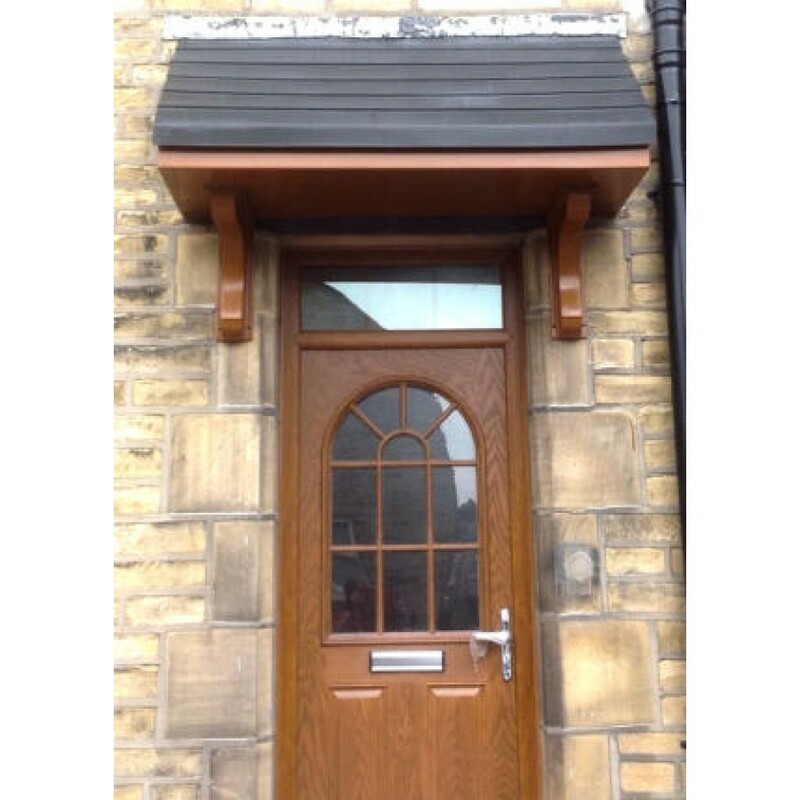 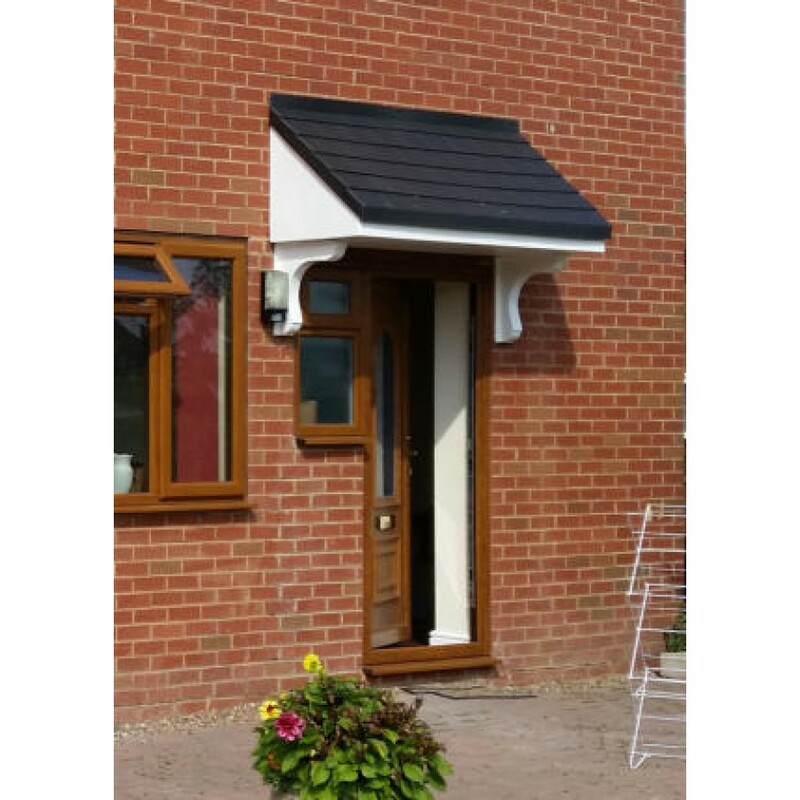 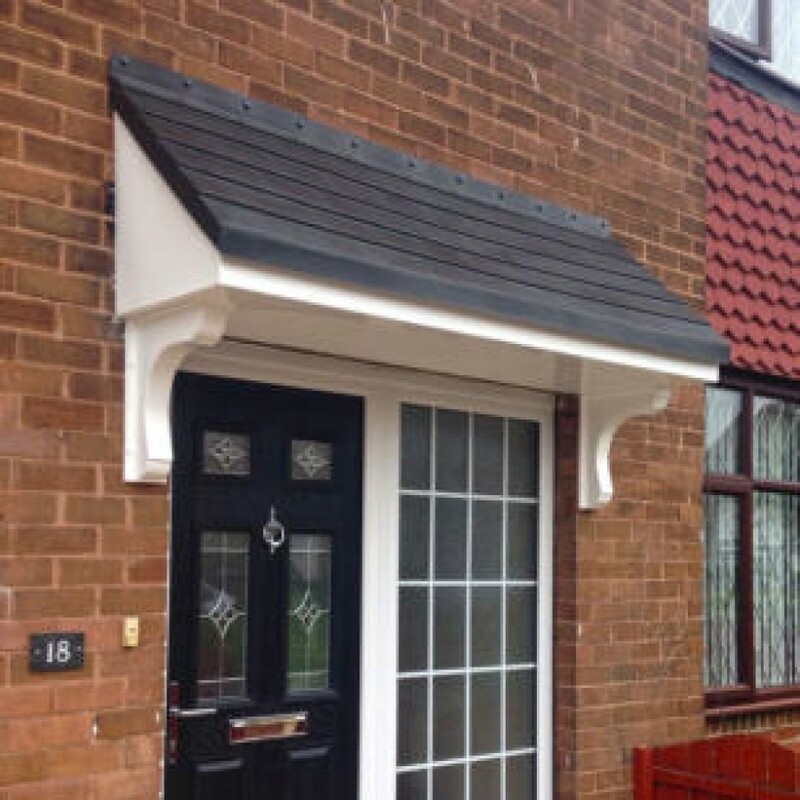 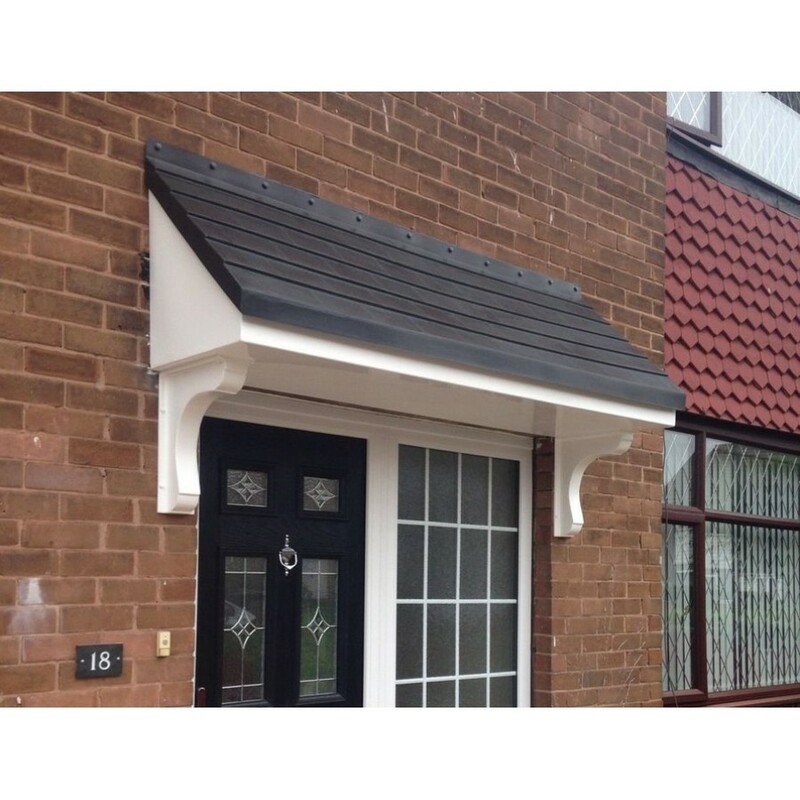 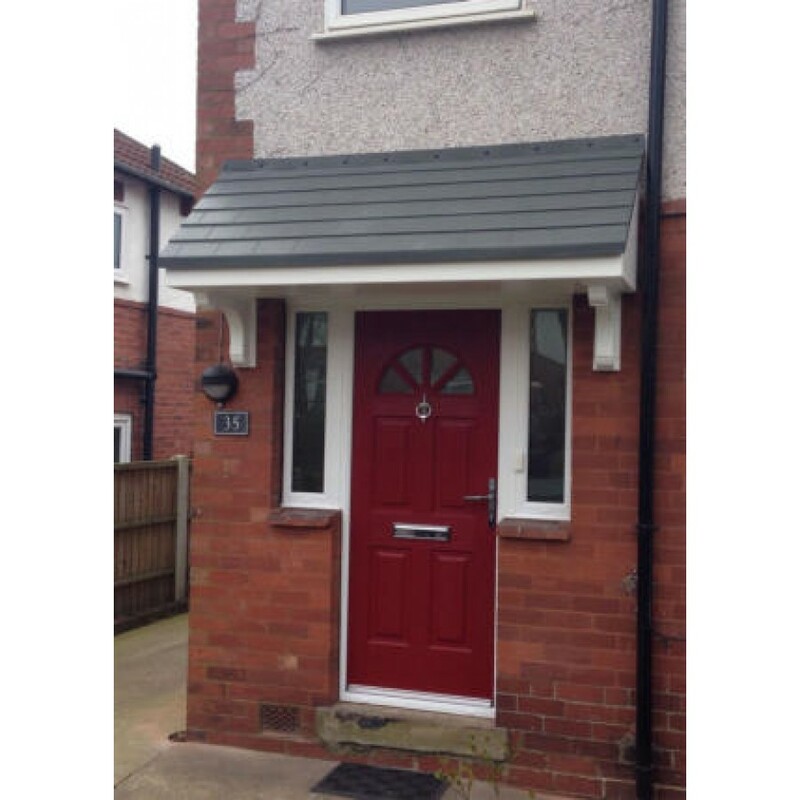 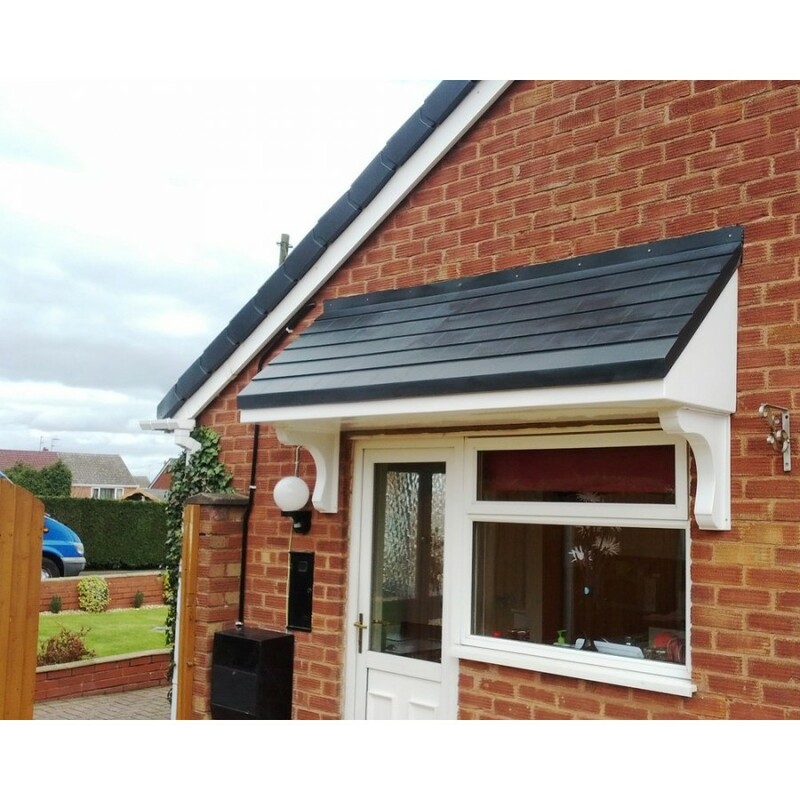 The Palermo porch door canopy has a pitched tiled roof with integral GRP lead effect fixing / flashing flange and a white fascia and soffit. 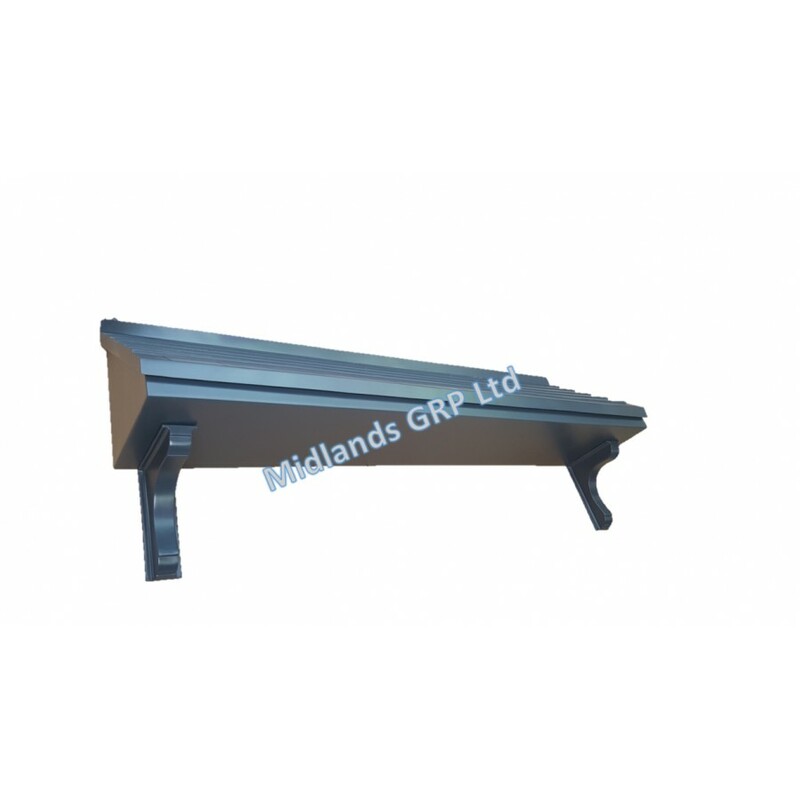 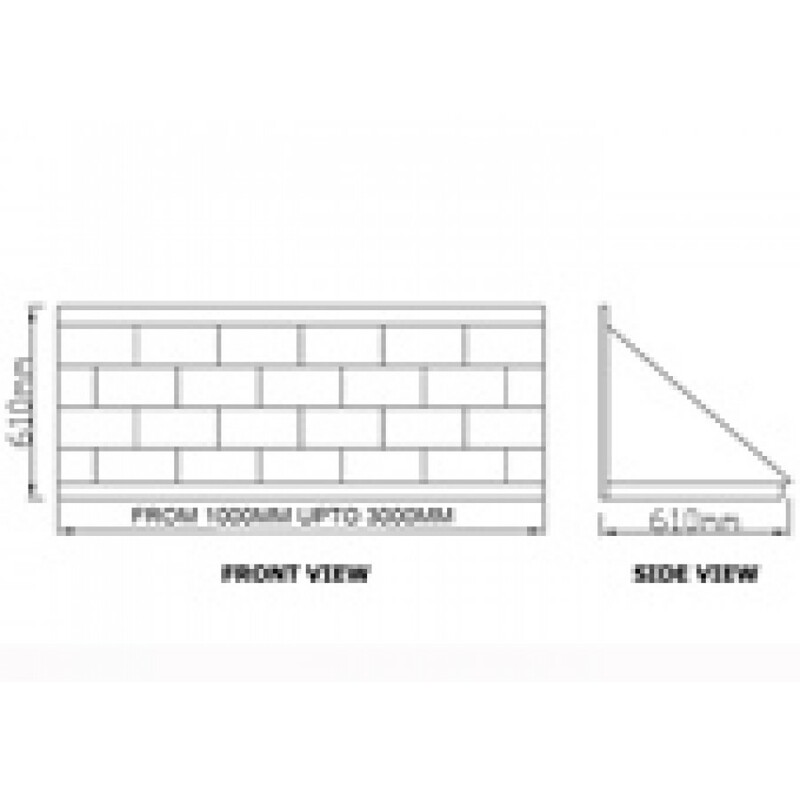 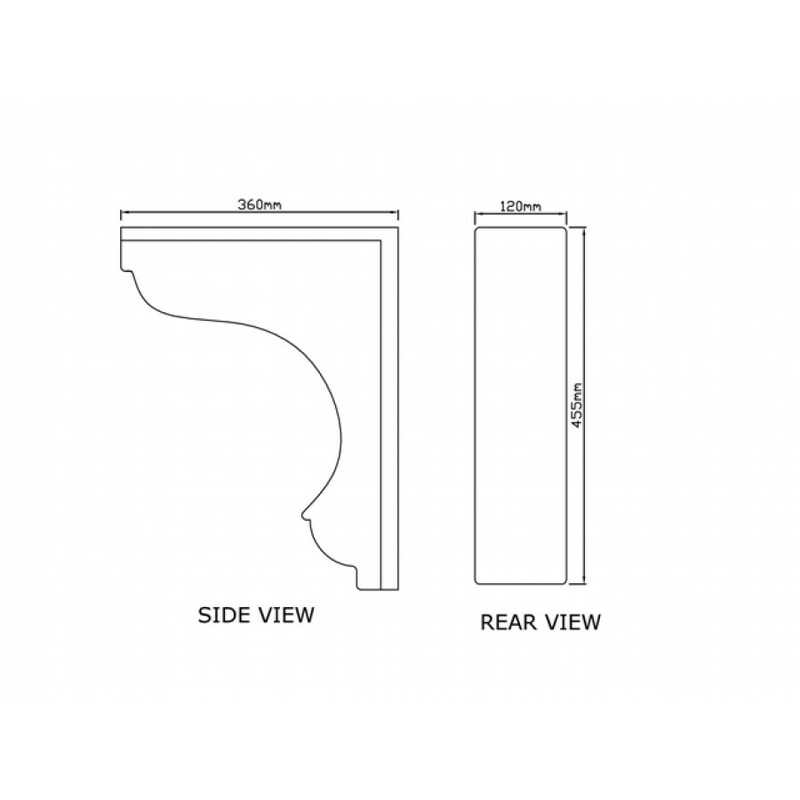 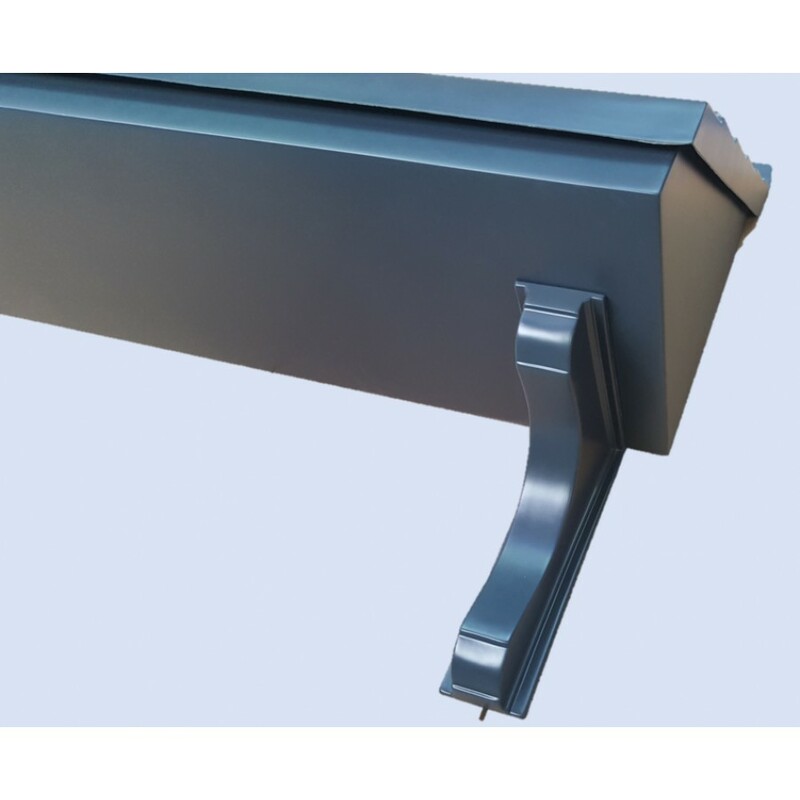 There are also optional decorative brackets supports available to order. 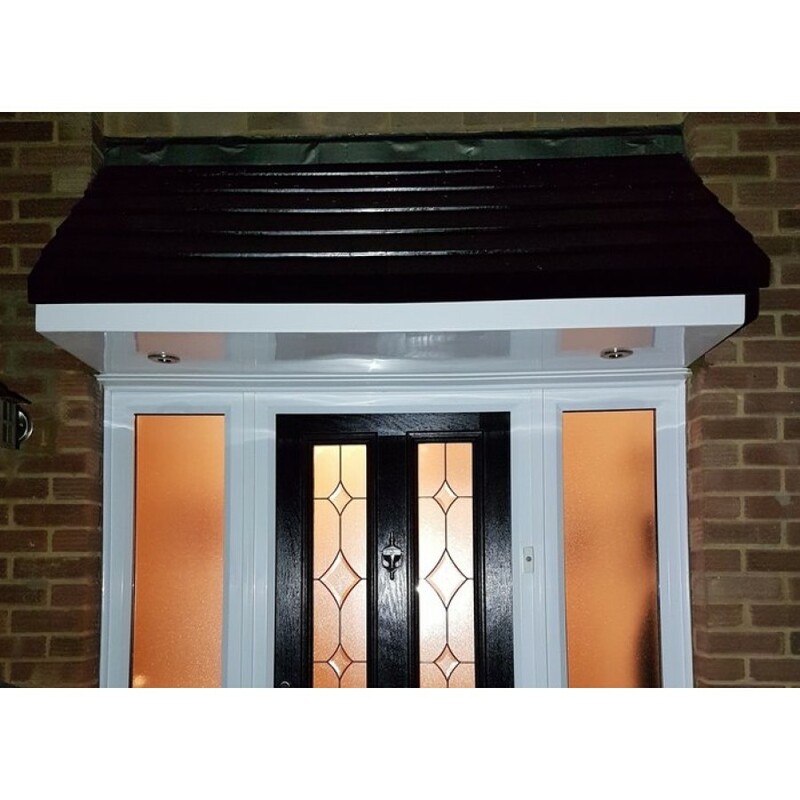 The Palermo door canopy is supplied with a slate grey roof and white soffit as standard but there are other colour options available such as oak, mahogany and anthracite grey which can be selected from the above menu. Our Door canopies are produced by hand. 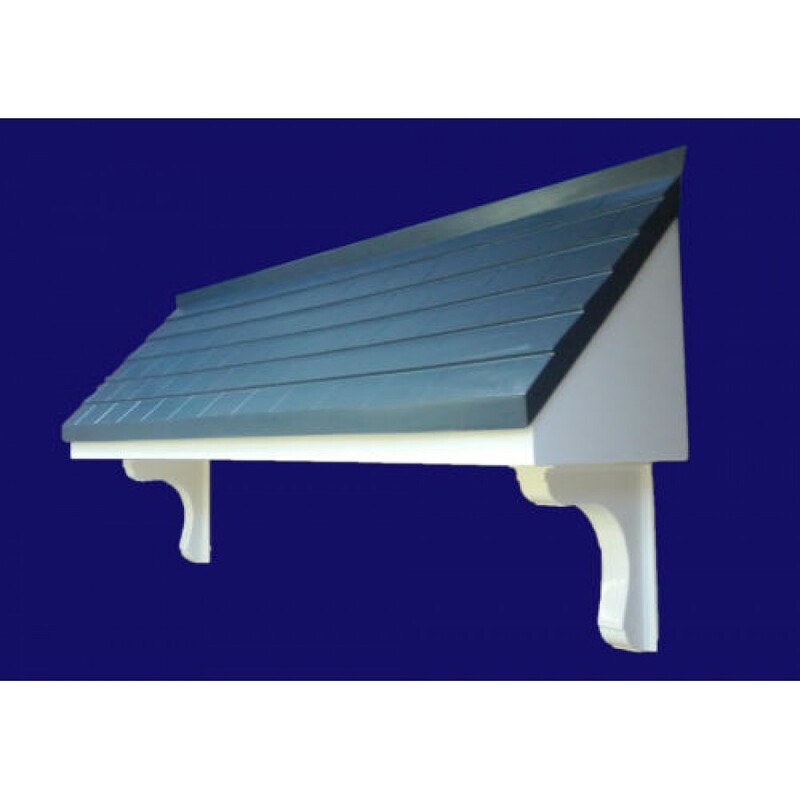 GRP is easily moulded into a wide variety of designs making it suitable for both standard and more bespoke applications.